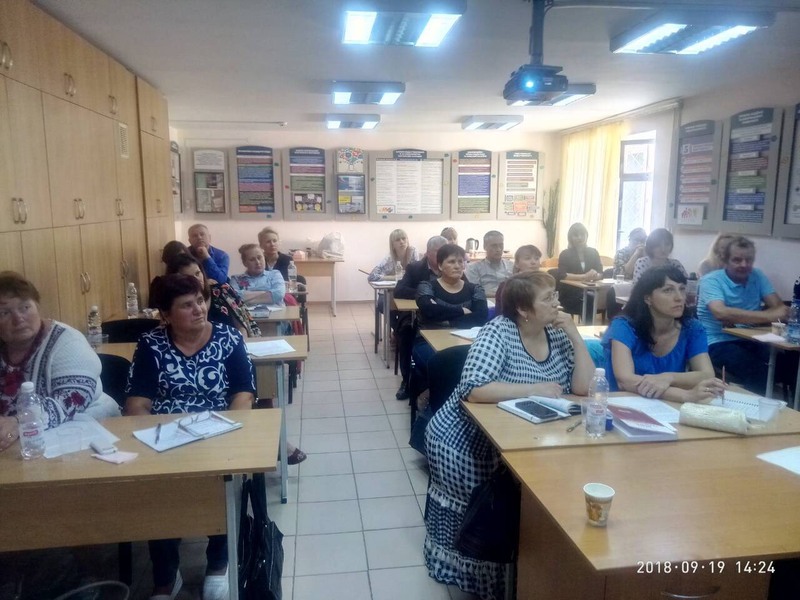 On September 19, 2018 the Academy of Ukrainian Press (AUP) , in partnership with K. D. Ushynskyi Regional Institute for Continuing Teachers’ Training conducted one-day training “Media Education and Media Literacy for a modern New Ukrainian School Teacher” for 25 teachers of history and legal studies in Chernihiv region due to the support of U-Media Program, Internews-Network. Mokrohuz, Head of Social Science and Teaching Methodology Department at K. D. Ushynskyi Institute for Continuing Teachers’ Training, as well as M. Koropatnyk, Associate Professor of Social Science and Teaching Methodology Department, told the participants how to integrate media literacy techniques with teaching history and legal studies. Trainers participated previously in the 1st Media Education and Literacy Summer School of AUP. 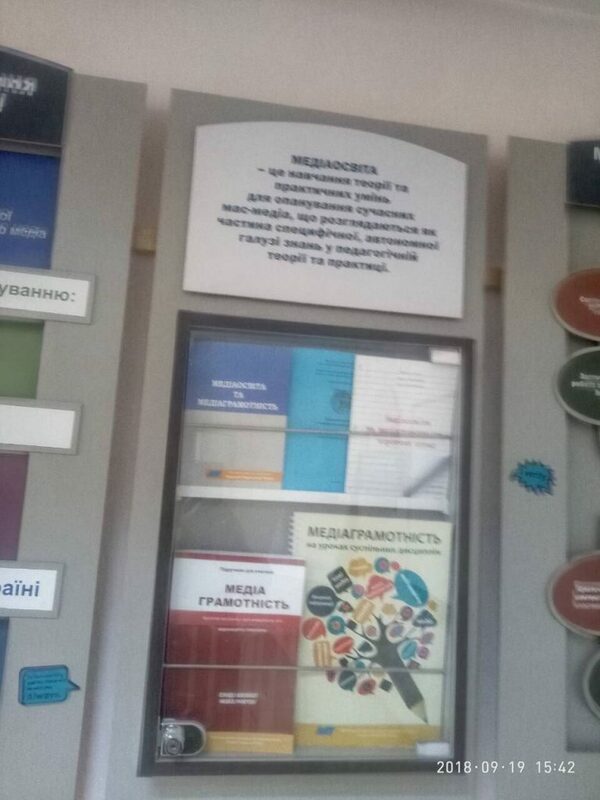 Volosheniuk, AUP’s media education program manager, introduced two new AUP’s handbook published due to the support of U-Media Program, Internews-Network. Nadia Pushenko, teacher of history and law at Bakhmach School #5, liked the handbook “Ukrainian History in Films” that according to her views provides a teacher with the tools of visualizing the dramatic moments in the past of the country. 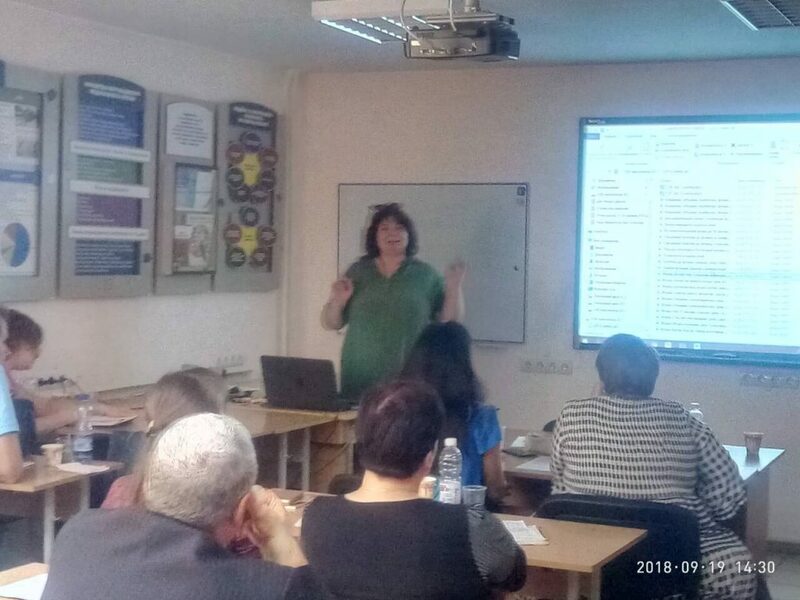 Training was conducted in the Media and Information Literacy study room, the only one in Ukraine, designed on the base of Chernihiv Regional Institute for Continuing Teachers’ Training.